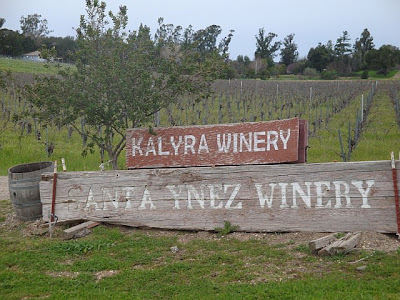 There is so much to see in Santa Ynez, California, and on a short trip there, it's hard to do everything. Something we did that helped us see a lot was to follow the Sideways map. 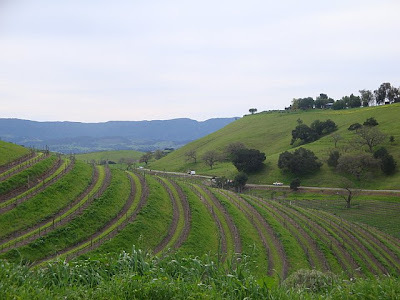 The Sideways map is a map you can download here and use to taste your way through the Santa Barbara Wine Country the same way Miles (Paul Giamatti) and Jack (Thomas Haden Church) did on their bachelor party road trip in the movie. Again, I say watch Sideways first, and then when you go you will recognize the same places...plus it's fun to snap a few pictures from the same route! :) There are 18 stops on the Miles and Jack map...we didn't even check out half of them (guess we'll have to go back)! 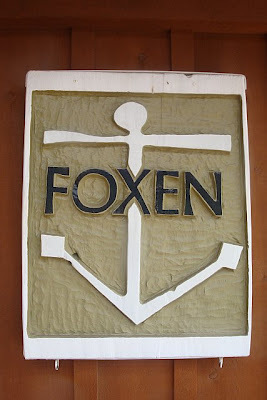 (1) Foxen Vineyard: 7200 Foxen Canyon Road, Santa Maria, California The Foxen Boys have been making wine together for 20 years. 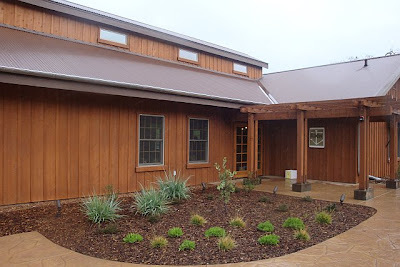 They have a very rustic tasting room that's really cool to see. They are open daily from 11am to 4pm. Sideways: During the split screen portion of the film, Miles and Jack help themselves to full glasses when the pourer turns her back. 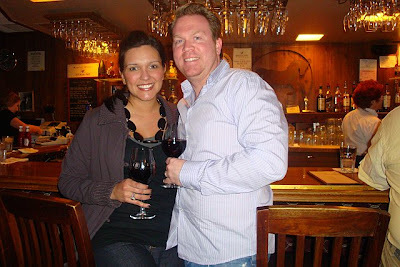 I have to say this was one of my favorite wineries...I pretty much liked everything we tasted...could see why Miles and Jack helped themselves to full glasses! 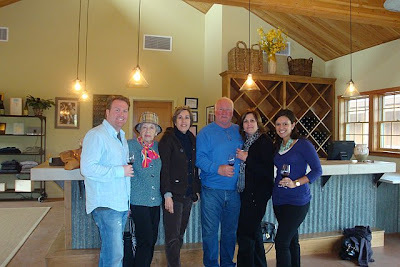 All of their Pinot Noirs are excellent, as is their Syrah from the Tinaquaic Vineyard. 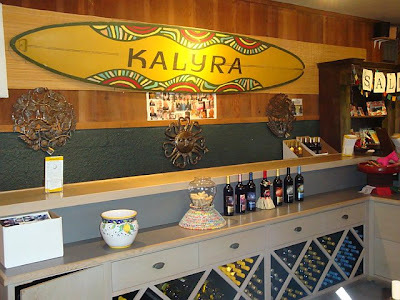 (2) Kalyra Winery: 343 N. Refugio Road, Santa Ynez, California Sideways: While tasting wine, Miles and Jack meet Stephanie, a flirtatious wine pourer who becomes the object of Jack's affection. 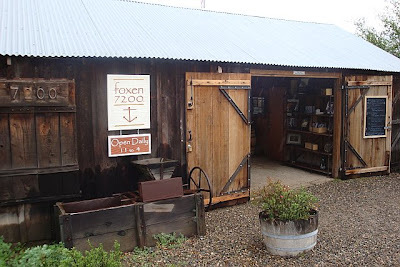 We didn't have time to do a full wine tasting here, but grabbed a bottle of their Shiraz and a bottle of their Merlot to go...both were fantastic! Sideways: Miles, Jack, Maya and Stephanie enjoy dinner and several exquisite bottles of wine. Unfortunately, we didn't get to have dinner here on this trip...but, we know we'll go the next time we are there for sure. 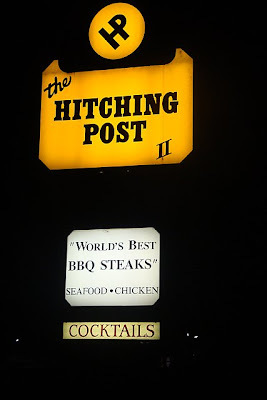 Since the restaurant was located right in the center of the same town where we stayed, we decided to snap a picture of it anyway. 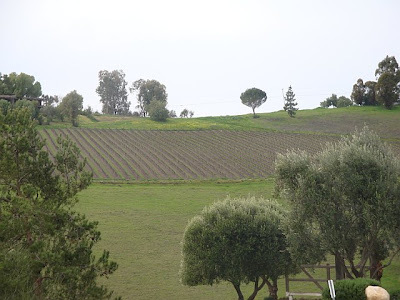 (5) Bucolic Santa Rosa Road- Jack and Miles drive through vineyards. Just look at the scenery in this incredible part of the country...sometimes it was hard to believe this is the U.S. Gorgeous! 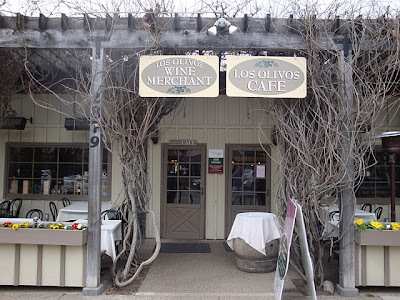 Stay tuned for more on the other vineyards (not from the Sideways tour) that we visited, as well as other great restaurants and of course, shopping! ok you got me....I rented sideways through net flix. I haven't watched it but am going to try over the weekend.